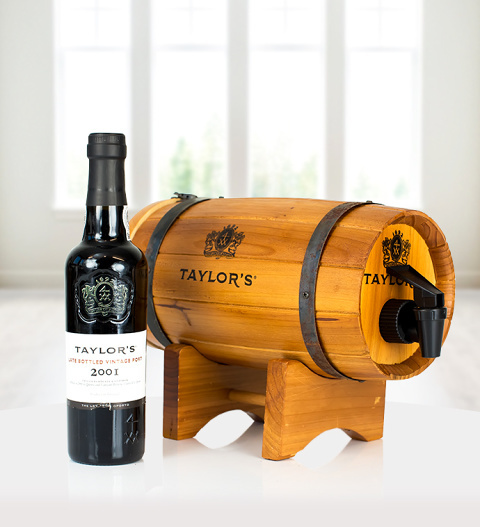 A delicious bottle of Taylors port 20cl presented with a traditional wooden barrel with a handy dispenser supplied. An ideal gift or perfect for your own enjoyment. Cheers! The gift is available for UK next day delivery.